Rhodiola grows in Arctic Europe and Asia, where it has a long history of herbal use, and contains many actives, including polyphenols. It is also known as a high potency adapogen and features higher levels of the active constituent - rosavins. Also known as “arctic root” or “golden root”, is a member of the family Crassulaeae, plants indigenous to the polar arctic regions of eastern Siberia. Herbs have been used traditionally in every culture throughout history and there has been considerable scientific research over recent years to identify the properties of these plant extracts. 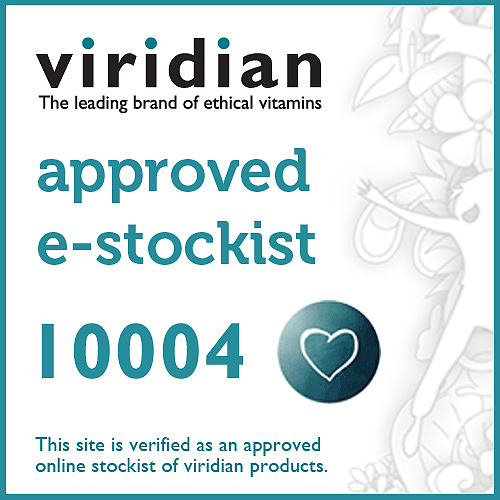 There are many different ways of consuming herbs and Viridian offers organic tinctures, organic whole herb powders and standardised extracts. Our standardised extracts are combined with whole herb to offer the best of traditional herbalism together with the latest in scientific innovation. Standardised Rhodiola rosea root extract (3% rosavins, 1% salidrozid, 40% polyphenols), Rhodiola rosea root powder, Vegetarian cellulose capsule. Take one to three vegicaps daily at mealtimes. 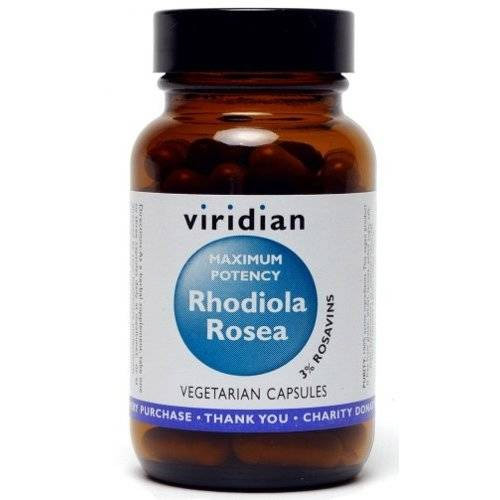 Below are reviews of Viridian MAXI POTENCY Rhodiola Rosea - 90 Vegicaps by bodykind customers. If you have tried this product we'd love to hear what you think so please leave a review. Lifts my mood and depression. Certainly notice if I forget to take it for a couple of days. If you're susceptible to occasionally flying off the handle, this certainly helps. Reportedly very good for all round health as well. Excellent product at a very good price that does help to alleviate stress. I have been taking this product for a while now and find that it really does help with mild depression and anxiety. I also trust Viridian as I believe their products are pure. Viridian MAXI POTENCY Rhodiola Rosea is known as a high potency adapogen and features high levels (3%) of the active constituent - rosavins.